Failing to keep his place as a coach at As Roma, didn’t stop Vincenzo Montella in pursuing his career in Serie A as the former striker has been officially announced as the new coach of Catania, replacing Diego Simeone, who resign after the season ended. Catania beat the competition of Chievo Verona, who reportedly also keen on acquiring Montella to lead the Flying Donkey, after their previous coach, Stefano Pioli, took Palermo’s offer recently. 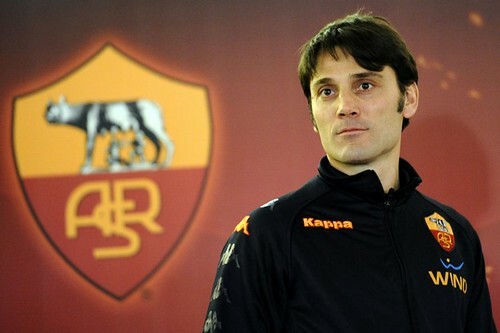 Reports stated that Montella is set to be presented on Friday, June 10, which officially be the first day on the job for the ex-Roma youth team tactician, who replaced Claudio Ranieri at the Giallorossi in the second part of the season. Although, it may seem as a downward step for the former Sampdoria and Roma star, still getting the trust to manage a Serie A side this summer can pretty much be considered as a plus for a rookie coach such as him. Rumors in Italy said that the reason Catania opted for Montella is because the Sicilian team are looking for someone who can play their 4-3-3 formation for next summer, and the ex-Roma coach seems fit enough to take the job. The ex-Italian international striker is being contracted for two years but surely everything will depends on the way that the young tactician managed his team and getting the result, the management asked. This job will definitely be a task for Montella as although the pressure in coaching Roma supposedly bigger, but in Serie A there are no guarantees even for lesser team’s tactician that they can spend a long time there. Although their target is not as high as big clubs, teams like Catania usually have their own standard that needs to be fulfilled in a season, and when that target can’t be reached, than a sacking is not a difficult thing to do.